Approximate amount of time to platinum: 30-35 Hours. Do trophies stack? : Yes. Several of the trophies can unlock simultaneously if their requirements are met at the same time. 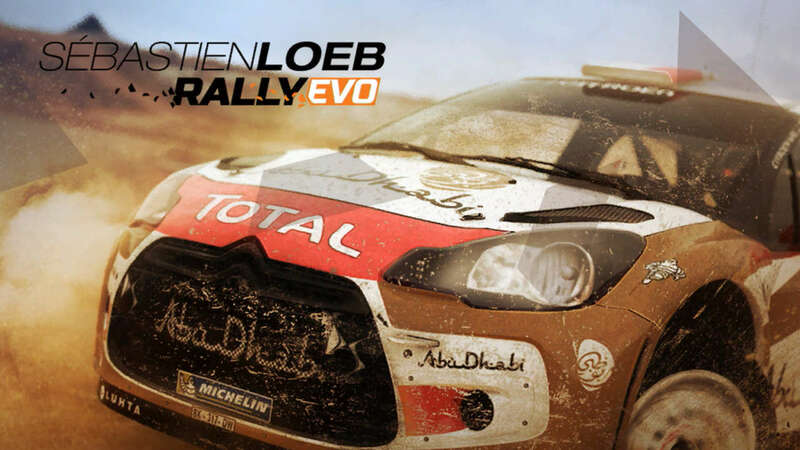 Sebastien Loeb Rally EVO is (surprise, surprise…) a realistic, rally-based racing game that focuses upon both traditional point-to-point rallying over varying terrain, as well as rallycross circuit racing and more unorthodox circuit-based race modes. Completing this game should not pose too much of a challenge, even for newcomers to rallying games as the difficulty can be changed to the easiest settings with there being no impact upon on earning trophies. Your main focus should be on the AI difficulty and Damage settings. None of the trophies are affected by changes in difficulty, so in making the game as easy as possible, you will be speeding up your overall progress through the game. You want to start with the Loeb Experience events before starting your career for two reasons. Firstly, it will give you some credits to start your career with so that you aren’t overly restricted when purchasing cars early on. Secondly, you will unlock a lot of cars through completing these events. Cars that will undoubtedly be used while progressing through your career. Here you will be progressing your way through what is quite a long career with the end goal of reaching rank 1 and completing the Loeb Events. The Loeb Events are unlocked once you reach specific ranks, with your rank being determined by how much reputation you have earned. So your whole journey through the career is basically focused upon completing rallies and races – accumulating reputation so that you can unlock more Loeb Events. You should also focus on completing a Four Day Rally at each location, a Rallycross, Elimination, Rally Drift, Sector Battle and Head to Head event during your career, as each has a respective trophy tied to it. Here you will just be completing one Special Stage event to unlock Internation debut. You don’t even need to win, just completing the event will unlock this trophy for you. Earn every other trophy to unlock this one. In order to unlock this trophy, you first need to be participating in a Rally event that lasts for at least two days. This is because you are only prompted to repair your car in between new days. So when you are in an event that lasts for two days, you will complete 2 stages as usual, then before starting the 3rd stage, the game will ask you if you would like to auto-repair the car within the remaining time limit. Selecting ‘yes’ will unlock this trophy. There are several events that are 2 days or longer littered throughout the career mode, so you should have no problems earning this trophy. Please see The first thrill! for more information. Pretty self-explanatory. Special Stages or Rallies are point to point races. Whoever completes the stage the fastest wins. Finish in first place to unlock this trophy. Remember that difficulty does not affect any trophies, so if you are struggling, feel free to lower the difficulty. Reputation is earned in the career mode for finishing events. 500,000 reputation is about two-fifths of the total amount of reputation required to reach Rank no. 1, which is required to unlock the Rising star! trophy. Please see that trophy description for more information on how to go about earning reputation. For this trophy, you will need to complete a Rally event that lasts for four days. You can check how long a rally event is by selecting the event. Next to the ‘start race’ option is a calendar that indicates how many days the event lasts for. A rally with a four day schedule in Monte Carlo can be found in the: Open > ‘Rallies Around The World’ category. A rally with a four-day schedule in Sweden can be found in the: Open > ‘Rallies Around The World’ category. A rally with a four-day schedule in Mexico can be found in the: Open > ‘Rallies Around The World’ category. A rally with a four-day schedule in Finland can be found in the: Open > ‘Rallies Around The World’ category. A rally with a four-day schedule in Australia can be found in the: Open > ‘Rallies Around The World’ category. A rally with a four-day schedule in Wales can be found in the: Open > ‘Rallies Around The World’ category. The Loeb events are little challenges which become unlocked as you progress through the world rankings. The first Loeb event becomes available once you reach rank 352 (82486 rep). The first Loeb event is a single stage rally in Sanremo using a Suzuki Swift S1600. The event should not pose any more of a problem than a normal career event would. Once you complete the event, this trophy should unlock. The fourth Loeb event becomes available once you reach rank 220 (472972 rep). This event is a Los Angeles Rallycross Race. Rallycross events can be found throughout the career mode. In these events, you race against 5 other opponents on a short and technical circuit for 3 laps. Unlike many other standard circuit racing formulas, Rallycross in this game features a unique quirk called ‘Joker Laps’. In order to complete a Rallycross race without receiving a penalty, you are required to complete one Joker Lap per race, which involves taking a longer route off track for one of your laps. Make sure to watch the in-game tutorial on Joker Laps if you aren’t familiar with them, as you’ll likely find yourself confused as to how you recieved a time penalty if you are unaware of them. I found success with winning Rallycross events by always completing my Joker Lap on the first lap. This allows you to separate yourself from the main pack of racers (who normally do their Joker Lap on Lap 3) and focus on setting fast lap times instead of becoming bogged down and unable to overtake some of the slower cars. By the time the A.I. complete their Joker lap, you should have passed by them with ease, allowing you to win the race and unlock this trophy. In order to unlock this trophy, you must complete a Special Stage event in multiplayer. Completing a Rallycross event will not unlock this trophy. Keep in mind that you only need to complete the special stage, your placing does not matter. DNFs do not count towards this though, so you can only finish 40 seconds behind first place at the very most. In order to make unlocking this trophy as quick as possible and to ensure that you complete the stage within the time limit, I recommend that you select a short stage such as Alsace: Vignole de Cleebourg 1. This typically only takes 2:30-3:00 to complete. The Loeb Experience can be accessed from the main menu. Here you will find a selection of events that represent various actual moments in Sebastien Loeb’s racing career, as well as alternate scenarios of ‘what could have happened’ where you defy history to win events that he did not. These events are basically an extension of the typical career mode events, so they aren’t any harder or easier than those you would encounter in the career. The first event sees you racing a rally kit car along an Alsace Special Stage. Win the event and you will unlock this trophy. This requires you to win all of the Loeb Experience events. As touched upon earlier, most of the events are pretty similar to those you would find in the career. There are 2 or 3 events however that judge you based upon your overall time, not your position relative to the A.I.. These events have somewhat stricter time requirements than those that Easy Difficulty A.I. would normally give you, so you may have to replay these events a few times to beat them. A prime example of this is the final Loeb Experience event which has you racing a Peugeot Hillclimb vehicle on Pikes Peak. Although your split times relative to the A.I. might make it seem as if you are miles ahead of the time requirement, the time you actually need to beat isn’t quite as forgiving. The final time you need to beat is 9:08:918, while the best A.I. time is normally somewhere closer to the 10 minute mark. Sector Battle events can be found scattered throughout the Career mode. These function as a sort of hybrid between Rallycross events and Special Stages. You race on Rallycross Circuits with other cars on track at the same time as yourself, however your performance in these events is based upon how many of the track’s sectors you set the fastest time for. For this reason, it isn’t always wise to be travelling amongst the pack of other racers. If you can separate yourself from them and give yourself some space, you can easily set the fastest times for each sector, as you won’t be distracted or impeded by the other racers blocking the fastest lines for each corner. There a few Rally Drift events found in the Career mode. These events function similarly to a special stage, however your goal isn’t to set a fast time. Instead, you receive points for how much you drift. In reality though, you don’t even need to properly drift to score points. Simply breaking traction, spinning your wheels and zig-zagging your way through the stage should net you more than enough points to win the event. Head to Head events have their own category that can be found within the Open category in Career. These events pit you against one other driver on a special stage with the goal being to overtake the other driver and finish first. Winning one of these events will unlock this trophy. Elimination events function similarly to Rallycross events. You race on Rallycross circuits against other racers, however after repeating intervals of time, the driver sitting in last place gets eliminated. This process continues until only one racer is left on track. You just want to make sure that you are never sitting in last place. If this means diving into corners and crashing your opponents out of the way – go right ahead. There doesn’t seem to be any penalties for racing dirty or crashing into your opponents so if necessary, feel free to race like this to make sure you win. The Last Loeb event in the Career Mode becomes available once you reach rank 1 (1374993 rep) and earn Gold Medals in all the other Loeb events. None of the Loeb events themselves are particularly difficult, not even the final Loeb event on the Full Pikes Peak Hillclimb (see Sébastien, the legend for a video of how difficult the final event is). Reaching the amount of reputation required to hit rank 1 however will take quite some time. In fact, it’s what takes up most of your time in completing the game. This is because most individual events take an average of 5 minutes to complete and only yield about 5,500 reputation. With that said, the game offers more than enough events to reach the reputation required to reach rank 1, almost double the amount in fact, so it’s entirely up to you to decide how you go about reaching rank 1. Upon starting the game you will be given the option of completing a tutorial to get you up to speed with rallying (if you don’t select it when you start, it can be accessed later through the Garage menu). After learning how to Accelerate and Brake, you’ll be taken to a short track made out of cones and tyre stacks. Simply complete three laps of this track and this trophy will unlock. From the Garage menu, you want to select the Modify Livery option. If you press , you can edit one of the available livery slots. Simply changing something like your vehicle’s colour will unlock this trophy.